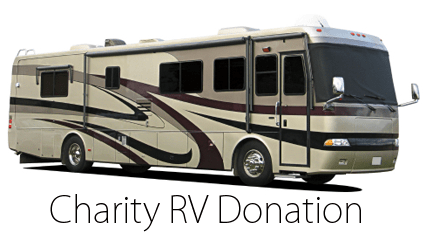 Donate RV to charity, Much easier than selling! RV donations accepted all 50 states!. Donate RV and enjoy a fair market value tax deduction plus free towing anywhere in the USA. Donate a camper to charity today! Have you parked your RV for the last time? Donate your RV today. We have specialized transport teams available for RV donation. Charitable organizations often lack the resources to properly handle RV donations. We provide free RV donation transport from anywhere in the 50 states and allow you to donate seven days a week. Let us provide all your donation forms and ensure a free clear title transfer once you’re ready to give. Call today or complete our form below now. Team members are here to answer your questions and help you give back once you’re ready. Have a classic car like an old 56 Corvette or 64 Lincoln that you are considering gifting to a good cause, but concerned about receiving your full appraised value for it? We can now help you ensure just that! Call us today to donate an old 1940s Packard that no longer runs or a mint condition 1977 Ferrari with zero out of pocket expense and zero hassle for you, the donor, and lock in its full appraised value. We will take care of everything for you and ensure you receive the highest possible federal tax savings for your gift while offering the highest level of customer service start to finish. Lock in full appraised value for your next classic car donation with us and our charitable network. Call today toll-free at 1.888.888.7187 to learn more or click here to learn more about classic car donation with us.